“Nothing brings on the holiday cheer better than creating a festive environment at home,” says Ellsworth Buck, Vice President of GreatFlorida Insurance, Florida’s largest independent homeowners insurance provider. Whether you are hanging your favorite decorations on the tree, or preparing for an inflatable Santa Clause takeover in your front yard, GreatFlorida Insurance has tips for keeping your holiday decorating safe while spreading joy. According to the National Fire Protection Association (NFPA), Christmas trees are responsible for $16.2 million in direct property damage annually. NFPA makes some recommendations to keep your Christmas tree safe and enjoyable. Pick a tree with fresh, green needles that do not fall off when touched. Keep your Christmas tree a minimum of 3 feet from any heat source including, the fireplace, radiator, heat vent or candles. The Electrical Safety Foundation International (ESFi), found more than 86 percent of Americans decorate their homes during the winter holidays. Over 1,000 fires are attributed to Christmas trees and holiday decorations every year. Don’t let your home be a casualty. “A red UL sticker indicates indoor/outdoor use. 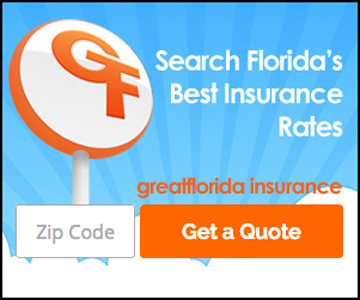 A green UL sticker signifies indoor use only,” reminds Buck with GreatFlorida Insurance, Florida’s top independent homeowners insurance provider. Plug outdoor lights and décor into circuits protected by ground fault circuit interrupters (GFCIs) to prevent shock. Shut-off fan blowers on inflatables when it is windy. Using ladders, stools and other furniture to hang lights, ornaments and other decorations increase their risk of injuries and falls during the holiday season, according to the Centers for Disease Control and Prevention (CDC). Recognize the possibility that you could fall. Use safe ladder practices such as making sure the ladder is secure and level. Make sure the ladder extends at least three feet over the roof line or work area. Place cords in low-traffic areas to prevent tripping.